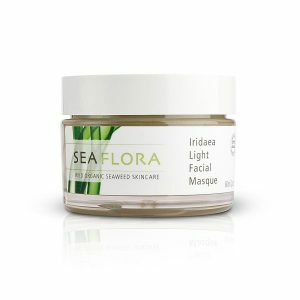 In this article we will focus on topical and transdermal bioavailability, the role that seaweed plays as a transdermal delivery system, and why the CBD that Seaflora Skincare uses is a CO2 extracted isolate. Bioavailability – the proportion of a drug or other substance which enters the circulation when introduced into the body and so is able to have an active effect. 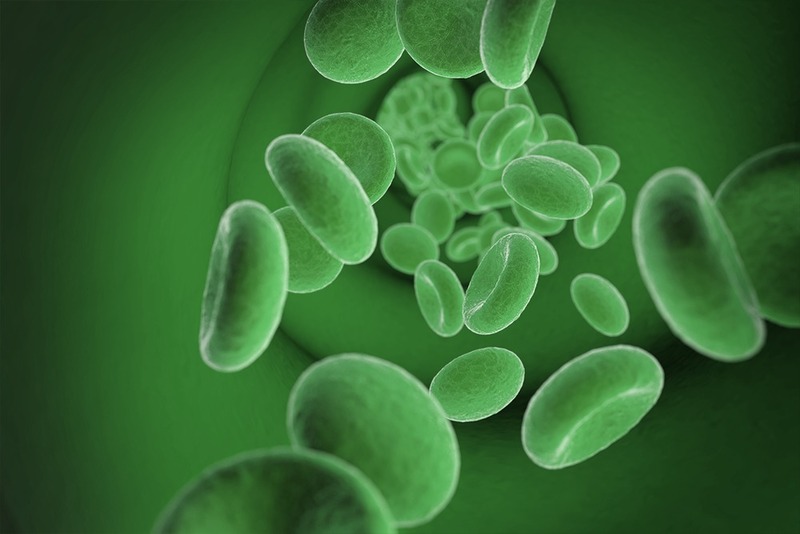 In short, bioavailability is the degree and rate at which a substance is absorbed into the bloodstream. For CBD to work, your body must first absorb it. This means that it must find its way from its point of delivery and into the bloodstream, from where it can travel around the body to interact with cannabinoid receptors, such as CB2, as well as non-cannabinoid receptors, such as the vanilloid receptor TRPV-1 and the serotonin receptor 5-HT1A. Absorption of CBD has a lot to do with how it is delivered to the body. You can vape or smoke CBD concentrates. When you inhale CBD, such as vaping it, your lungs absorb the compound very quickly. Without doubt, the most common method of administering CBD is orally. From the digestive tract, CBD then travels to the hepatic portal system, through the portal vein, and on into the liver. Enzymes in the liver, which have mixed functions, break CBD down, reducing cannabidiol concentration significantly before sending the leftovers to the bloodstream. You can take CBD sublingually, which means holding it under the tongue for a minute or two before swallowing. This method allows the mucus membranes of the mouth to absorb CBD instead, bypassing the digestive system and metabolism in the liver entirely. When you apply CBD oils or creams onto your skin, it’s unlikely to reach the bloodstream. In using CBD this way, you get targeted relief to a specific area. The skin absorbs CBD so that it can interact with cannabinoid receptors nearby. Generally, human skin is not very permeable. It blocks the majority of substances to prevent them from entering the body. That is why Seaflora uses our seaweed complex to build the delivery system. Compounds found in seaweed are being used in transdermal patches that deliver a variety of drugs through the skin. The skin is a body boundary, but one through which positive elements may pass without being broken down and processed by the liver as is the case with oral delivery. In recent years, there have been major advances and increasing amounts of research on the utilization of natural polymeric materials as drug delivery vehicles due to their biocompatibility and biodegradability. Seaweed polysaccharides are abundant resources and have been extensively studied for several biological, biomedical, and functional food applications. Alginate, carrageenan, fucoidan, ulvan, and laminarin are polysaccharides commonly isolated from seaweed. As their usage as carriers for the delivery of various therapeutic molecules (e.g., proteins, peptides, anti-cancer drugs, and antibiotics). Seaweed polysaccharide-based delivery systems have demonstrated their high potential for safe and efficient drug delivery. 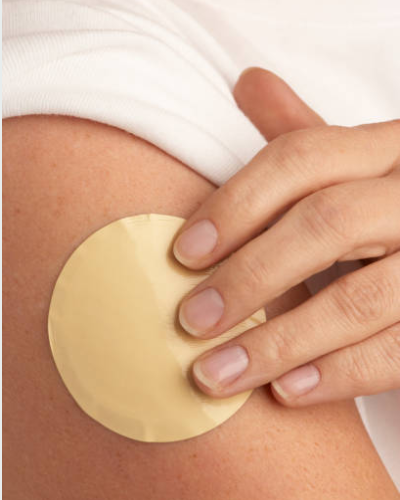 A thin layer of alginate on the patch builds the delivery system through the dermal layers. Generally, polysaccharides are considered safe, biocompatible, stable, hydrophilic, and biodegradable, and they can be modified into different forms, such as chemically modified polysaccharides, hydrogels, scaffolds, fibers, and NPs. NPs have many advantages for drug delivery purposes compared with larger (micro-sized) particles because they easily penetrate into targeted areas. Seaweeds are the most abundant source of polysaccharides, as alginates, agar and agarose as well as carrageenans. Seaweed polysaccharides have hydrophilic surface groups, such as hydroxyl, carboxyl, and sulfate groups, which interact with biological tissues easily. Having discussed the science behind how seaweeds build the delivery system through the dermal layers, now let’s talk about the bioavailability of the CBD isolate we incorporate in our Sea Silk Massage Oil and Seaweed Body Gel. CO2 extraction also provides us with 100% THC Free Isolate. The finished product is a pure crystalline powder that is 99.9% CBD. This isolated version of CBD is excellent for anyone who is sensitive to THC or can’t have THC show up in a drug test. Military service members, police officers, emergency first responders, and anyone else who absolutely can’t fail a drug test will find that CBD offers the relief they need, without the fear of having THC in their system. Our carrier oil for the isolate is a coconut derived Medium Chain Triglyceride (MCT) oil. MCT oil is the most efficient way to deliver CBD oil so the cannabinoids interact with the body quickly and easily. Studies have found MCT oil can assist with energy and brain function, making it a great addition to CBD. All of the potential benefits of MCTs complement what studies, research and testimonials are starting to show us about CBD. It’s also been found that this combination can also help with metabolism. CBD will shift the metabolism away from burning sugar and towards a fatty-acid metabolism, while MCT oil will help the fat burning process. The more the endocannabinoid system is regulated and balanced, the more that metabolism can typically improve. We will be infusing our Seaweed Body Gel with 600 mg of CBD isolate… soon. The beauty God’s didn’t make all skin care equally, some of your products in your beauty bag don’t even reach the correct point in your skin to make a change. What makes cosmeceutical products far more superior to your standard off the shelf labels are their bioavailability. There’s no point applying an ingredient if it will only travel to the epidermis and not penetrate down into the deeper layers of the skin where the changes will become more evident. For example Vitamin C or L-ascorbic acid, a company could simply add this to their product and highlight its percentage on the label, however Vitamin C or L-ascorbic acid is quite unstable when in water based serums. Using an isolate, the ingredient absorbs at a rapid pace into the dermal layers offering fast, effective pain relief and quick reduction of skin and muscle inflammation. The question now becomes, how much do I need to apply for it to be effective. With that being said, there isn’t a “one size fits all” dosage, and there may be some trial and error while gauging your proper dosage. Neuroscientist Nick Jikomes at Leafly, explains that, as our body’s physiology changes, so do the receptors in our Endocannabinoid System (ECS), which are directly responsible for interactions with CBD. As a result, optimal CBD dosages will shift throughout an individual’s lifetime. We believe that CBD works as more of a tool that helps to restore our health and body to a state of balance, then maintains that balance by supporting our health and acting as a preventative measure against degradation. As long as it’s extracted within the proper parameters, CBD oil does have benefits for skin. We’ll be following the research and the regulations closely, and we’re excited to see how the research behind CBD oil’s topical benefits continues to grow.